The latest release, SLES 12 SP3, supports more hardware platforms then ever and has better performance, clustering ability, and security than ever. This new patch supports the latest chips from ARM (AArch64), Intel, AMD, SAP HANA, IBM z Systems, and POWER. It also supports NVM (Non-Volatile Memory) Express over Fabrics. Hardware and virtualization with higher compute density, less power consumption, and economical hardware using new ARM System-on-a-Chip (SoC) systems from Cavium, Qualcomm, and others. Improve infrastructure agility with support for Intel’s newest and most powerful Xeon processor scalable family. Increase responsiveness with added support for the latest AMD EPYC and Ryzen processors for virtualization, compute, and datacenter workloads, including desktop systems. Optimize workloads and increase data security for z Systems with full support for SUSE KVM on z and enhanced cryptographic support for end-to-end data encryption. 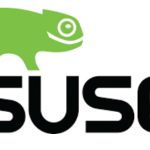 The new SUSE release, which has been moving aggressively on the cloud, is also available on its native OpenStack cloud, Amazon Web Services, Azure, and Google Compute. Fast local Non-Volatile Memory Express (NVMe) and remote storage device communications with NVMe over Fabrics (NoF) support. By using NVMe you can fully exploit the benefits of modern solid-state drives. Increase database performance with enhanced Non-Volatile Dual In-line Memory Module (NV-DIMM) block device support. Optimize SAP applications for performance with configuration and tuning support for SAP Adaptive Server Enterprise and SAP Business Objects.